This animal cage was made from pallet and other scrap wood as well as some off-cuts of 20mm PVC conduit. 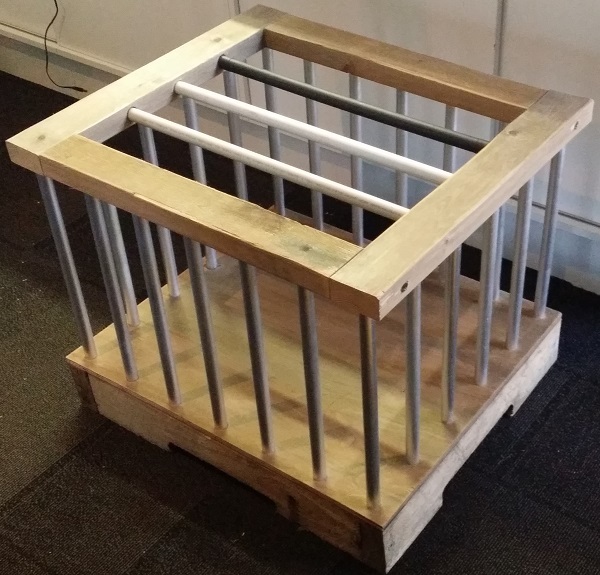 Cage is made and conduit pieces are in for a trial fit. There’s room under the floor panel for a speaker and some electronics. Could possibly run wires up one of the bars to power some top lights. 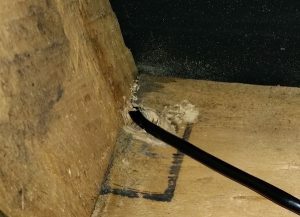 Wood has been sanded to remove loose splinters. Some steel wool vinegar solution has been applied to the wood. Wall conduit “bars” have been spray painted silver. Top bars are removable by having deeper side holes. Top bar colour to be determined. 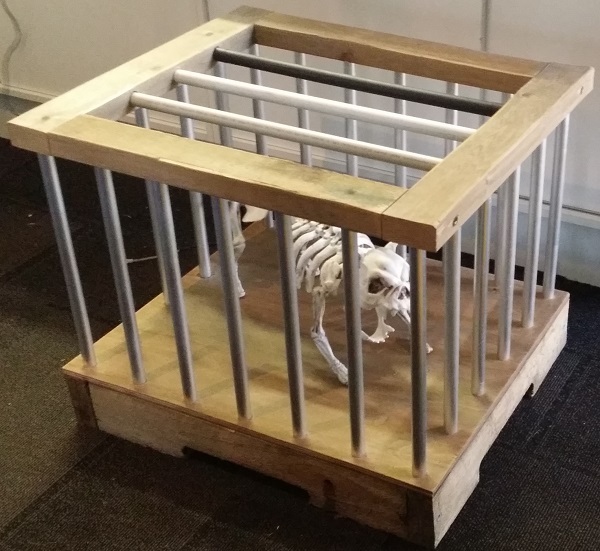 Test fit with the skeleton dog, but he has his own kennel. Not sure what will be in the cage yet. Possibly something that can be animated from below. 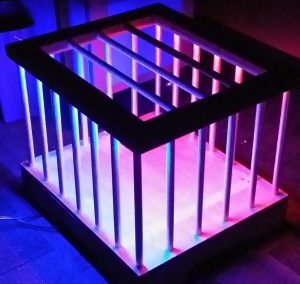 We’ll need to show off the cage contents. 12V RGB LED strips were added to the long sides. They were carefully stapled into place (straddling the strip). Even at this low viewing angle you can’t see the LED strips directly. Each strip was wired independently. This gives the option of separate colour control if required. 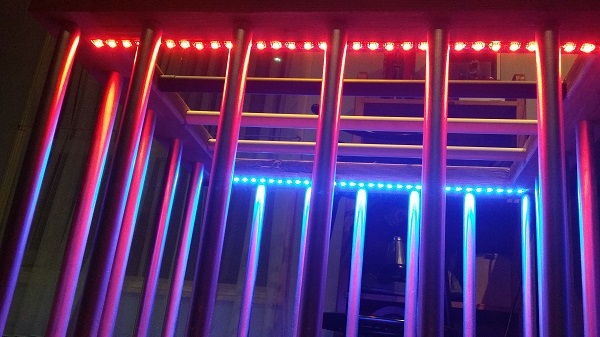 The wiring for the LED strip goes into a hole, angled toward the corner bar. It then runs down the hollow bar (conduit). 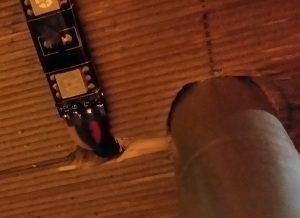 The LED wiring exits the corner bars through another angled drill hole. 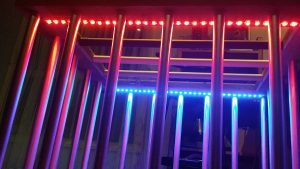 I used diagonally opposite bars for the LED wiring. 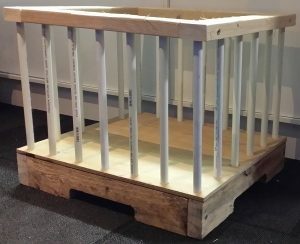 This means the top piece of the cage can be put on either way. 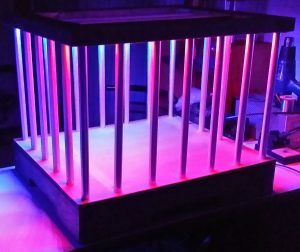 The LEDs will connect to a prop controller underneath the cage floor. 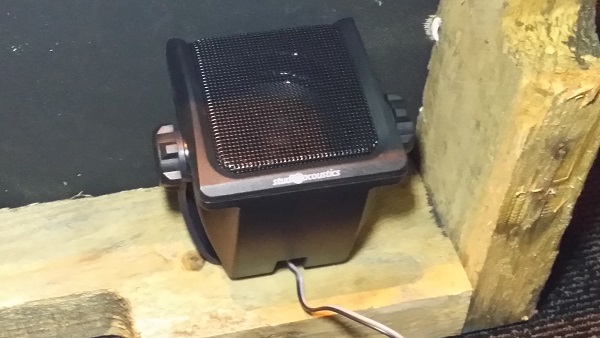 A small speaker was installed underneath the cage floor. It will also wire back to the prop controller board. 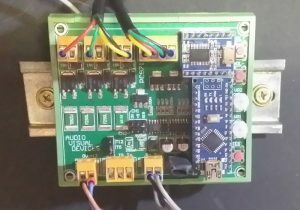 Just after Halloween 2016, I fitted a custom prop controller. It mounts on a small section of DIN rail for easy removal. 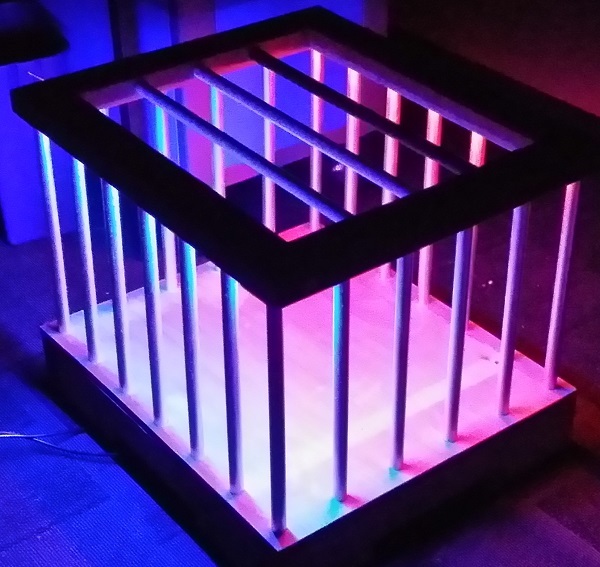 This will allow the prop to be interactive next year. 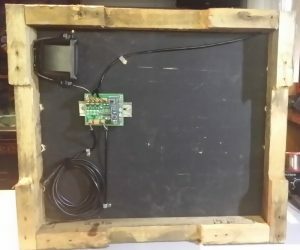 3x DC outputs (for an RGB LED strip). 3x solenoids outputs (used for 2nd RGB LED strip here). Speaker output from mp3 module. 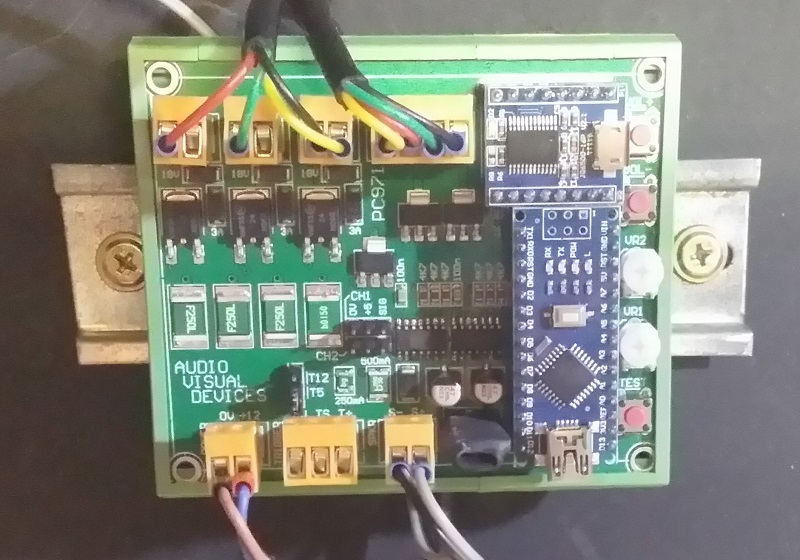 Trigger input with 5V / 12V power.